Margot Guitierrez Harrigan is a non-profit executive and education advocate with a passion for hands-on learning. After segueing from her position as Industry Marketing Manager at Hewlett Packard, Margot became an active parent leader and volunteer in Los Altos and Mountain View. 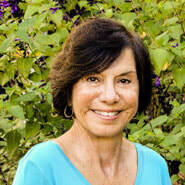 She served as a Trustee in the Los Altos School District for 12 years; President of the Santa Clara County PTA and California State PTA Board of Managers; and has served as a board member of the Association of Fundraising Professionals Silicon Valley, the Community Services Agency and the National Charity League. Margot has also held leadership roles in a variety of school bond campaigns and local civic organizations. For the last 11 years Margot has been a non-profit fundraiser for Community Health Awareness Council, Habitat for Humanity East Bay Silicon Valley and the American Red Cross Silicon Valley. 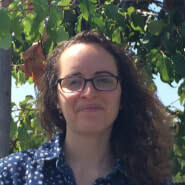 Margot received her B.A degree from California State University, Long Beach and holds a CBEST (substitute) K-12 teaching credential. 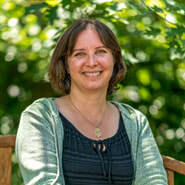 Martha Young has over 25 years' experience in both administrative and marketing support. Most recently, she was the Marketing Associate for the Community School of Music and Arts for more than 10 years. 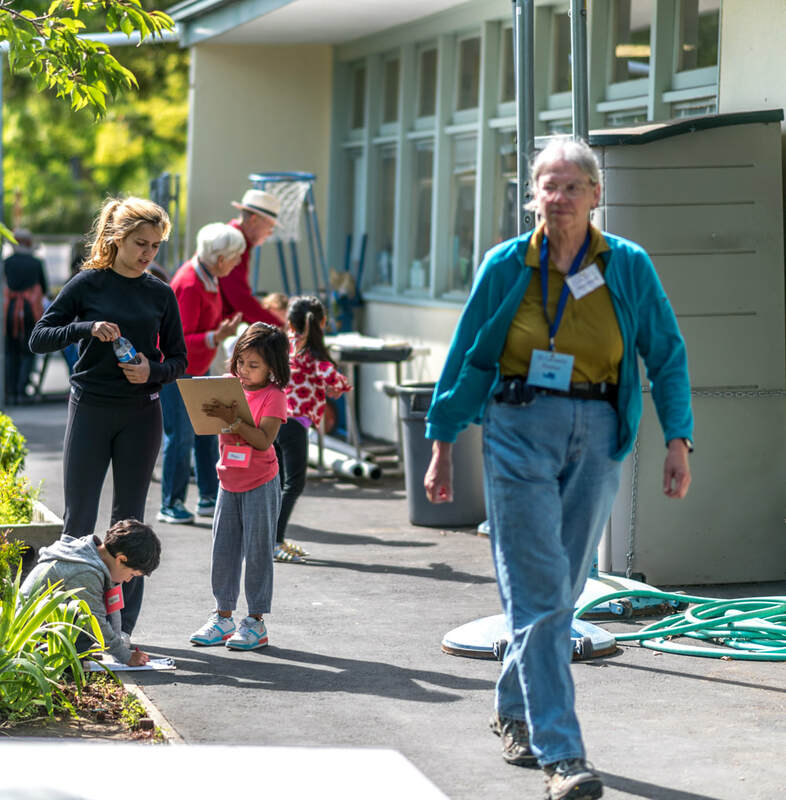 During her two daughters' years in the Mountain View public schools, Martha was an active volunteer with PTA, Girl Scouts, and the Mountain View and Mountain View-Los Altos educational foundations. She joined Living Classroom in 2018. While not an active gardener herself, she very much enjoys the products of her husband's home garden! Shawn Shahin is an experienced elementary educator with over 15 years teaching in both classroom and outdoor settings. She has her B.A. in Environmental Studies from the University of California, Santa Cruz, and a California Multiple-Subject Credential from San Jose State University. She also holds a California Administrative Services Credential. Shawn has served South Bay youth in many capacities over her career, first as an upper-grades Classroom Teacher, then as a Science Specialist, an Instructional Coach, and finally a school site Principal. She brings experience in writing curriculum, mentoring teachers on best practices, and knowledge of public schools which serve a diverse study body, to our organization. 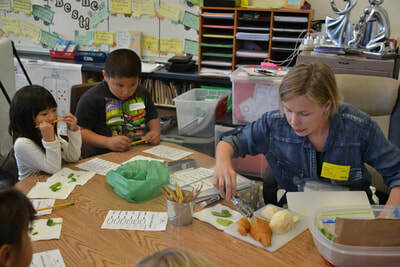 Mallory Traughber joined Living Classroom in 2013 as the program manager for the Mountain View Whisman School District. Mallory holds a Bachelor of Science degree in elementary education from Indiana University. 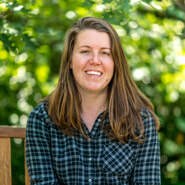 She has worked in environmental education for 10 years: previously with the YMCA, High Trails Outdoor Science School, and as an Americorps member with Our City Forest in San Jose. During the summer months Mallory works as a camp director for Camp Galileo in San Francisco. Patti joined Living Classroom in 2014, following her dream of working with kids teaching them the love of gardening and nature. 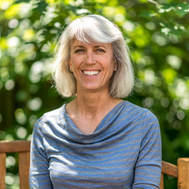 She earned a Bachelor of Science degree from the University of Arkansas in Agriculture, with an emphasis in Landscape Design and Urban Horticulture. 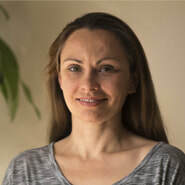 After moving to California and raising her children, she went back to school and earned an Associate of Science degree in Environmental Horticulture and Design from Foothill College, and is a UC California Naturalist. She has had her own business doing landscape design and landscape maintencance. She also worked for landscape contractors doing maintenance and construction. Now, she's exploring her passions after training with an herbalist and foraging, bird watching. 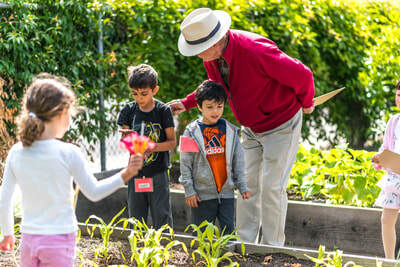 Kavita Dave Coombe has been a volunteer docent with Living Classroom for 4 years and really enjoys teaching kids and values the science based garden education that our program provides. She also founded and runs an urban garden in Mountain View called Soil&Water at Heritage Park. Kavita has a BS in Biology and a Masters in Public Health Epidemiology. She has always focused on disease prevention through clinical research and women's health which has led to her current passion of creating a community program centered around gardening and teaching kids where their food comes from (including her own 2 kids!). Lior Dahan spent a year living and working on small, family-owned farms, where she discovered a passion for the work and the farming lifestyle. This experience led to her decision to obtain a degree in horticulture. Lior's desire is to implement all that she learns, in the field and in the classroom, in the urban world. 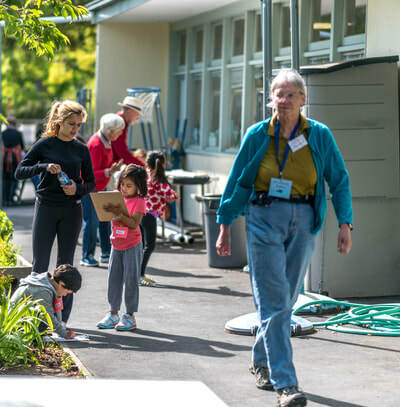 Linda has taught children about science in the outdoors for 28 years from a National Wildlife Refuge, to Palo Alto Open Spaces, to Living Classroom and the outdoor classrooms in the schoolyard. She cannot think of a more fun and exciting way to spend her time! Susan Harder served as a volunteer docent with Living Classroom for three years before joining as a staff member in September 2016. As proof that you never know where life is going to take you, Susan's educational and career path has wound its way from toxicology to epidemiology to anesthesiology. She now enjoys sharing her science background and love of gardening, compost and worms with students across Mountain View. Lorraine Kostka started gardening in the 1970s in her Indiana back yard. Her curiosity of plants lead her to get a Ph.D. in beans (Phaseolus vulgaris)! 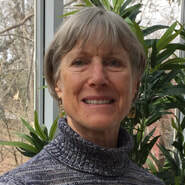 Lorraine worked in Cell and Molecular biology of plant development for many years at Yale University and UC Berkeley. Knowing the nurturing value of a garden for children, Lorraine became garden coordinator at her four kids' elementary school. 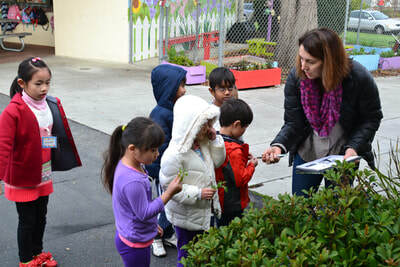 When Living Classroom's program expanded in Mountain View public schools, Lorraine became a volunteer docent. She found the joy of leading garden based lessons completely addicting. 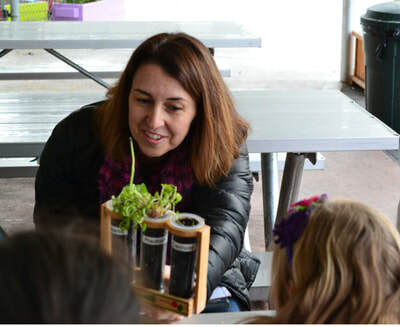 Lorraine has also led science lessons with Science is Elementary in Mountain View and Santa Clara public schools, and then leading summer science camps with Rock-It Science in Santa Clara. 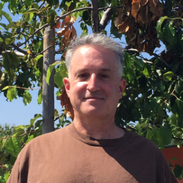 Howard Rappaport serves as Instructor/Materials Manager for the Living Classroom’s program in the Campbell Union School District. He holds a Bachelor of Science in Education from the University of Illinois, Urbana-Champaign and advanced degrees from Northwestern and Rice Universities. A credentialed and National Boards Certified teacher, he has 15 years of experience teaching at all levels from kindergarten through high school. As a CUSD parent, he has served as Garden Coordinator at Castlemont Elementary School, while pursuing outdoor education and horticultural training through the UC-Santa Cruz Life Lab, Foothill College and Master Gardeners of Santa Clara County. 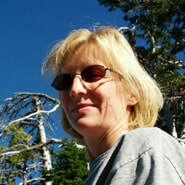 Kim Reynolds is an Instructor/ Materials Manager working in the Campbell Union and Palo Alto School Districts. She holds a BSA in Environmental, Soil, and Water Sciences from the University of Arkansas. She has 10 years of experience working in academic research laboratories investigating issues ranging from the impacts of climate change, invasive species, and nematodes on their environment to hematological malignancies. Kim holds a CBEST teaching credential. Her love of kids and science and a desire to increase environmental literacy of our future leaders and innovators led her to join the Living Classroom staff. Caroline Chan began coordinating the Living Classroom program for the Los Altos School District in 2013. 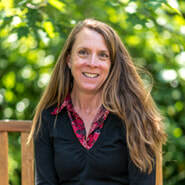 Caroline holds a Bachelor of Science degree in Biological Sciences from Cal Poly State University in San Luis Obispo as well as a Master’s degree in Ecological and Organismal Biology from San Jose State University. 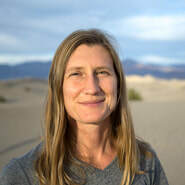 She has worked in environmental education for over 20 years: previously as a science specialist with the Los Altos School District, as a science instructor with the Youth Science Institute, as a biology instructor and field biologist at San Jose State University, as a teaching intern and assistant summer camp director with the Environmental Volunteers, and as a pre-school nature camp director with the City of Los Altos. When not spending time with her family or tending to her greens, Caroline enjoys playing with her cat and corgi, caring for her chickens, hiking, reading and listening to music. The most memorable and fulfilling work Sarma has done has been her involvement in her children's schools. She has watched her kids and their friends blossom into smart and happy people through hands-on learning, playing outside, and exploring their surroundings. This is why she has come to greatly appreciate programs like the Living Classroom, and why she believe it’s essential to teach kids science, math, and the love of nature and our Earth through active learning and exploration. 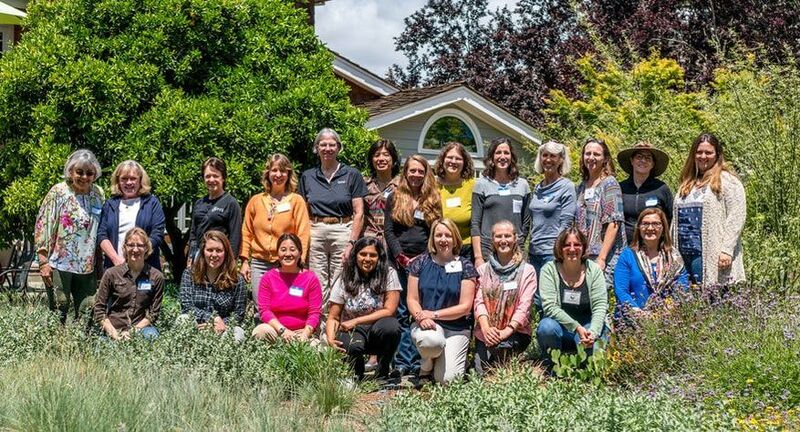 ​*The Los Altos School District staff are employees of the Los Altos School District but work in partnership with Living Classroom staff. 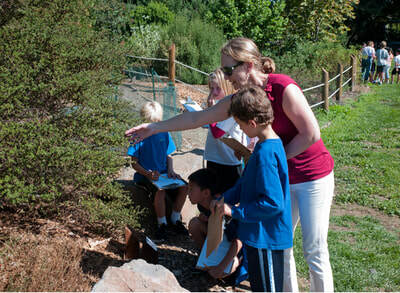 ​We could not reach as many students with as many lessons without the help of our dedicated docents. Our docents come from many different backgrounds and life experiences, but all come to Living Classroom to share their love of learning with children. Every year, Living Classroom offers fall, winter, and spring training sessions that not only demonstrate how to teach our lessons, but also cover classroom management, cultural relevancy, and effective teaching strategies.